For those of you out there looking for a cupcake display besides a tier stand, here's another idea! 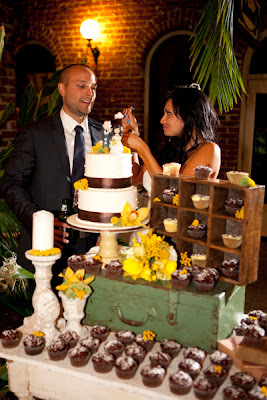 This bride and groom chose a very unique way to show off their desserts -on shelves! An entire scene was created for their desserts based on their theme, where the cupcakes complimented the scenery. 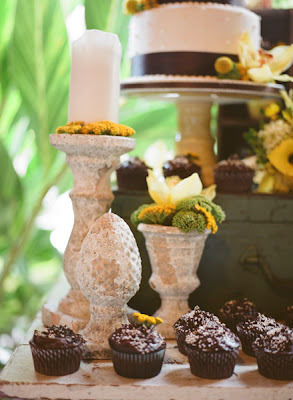 While the cupcakes add an un-usual touch, their wedding cake is still the main focus. No need to choose between a cake and a cupcake at your next event - you can have both!